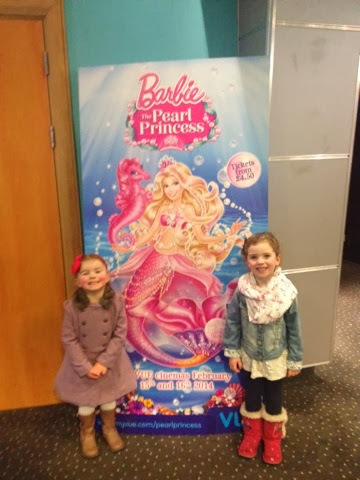 A couple of weeks ago Vue Cinemas invited us to a special blogger screening of Barbie: The Pearl Princess down in London. Unfortunately, like with most events, living 'ooop North' meant that we were unable to travel. Luckily for us Vue were kind enough to offer us tickets to see the film at our local cinema. Little E was really excited but Daddy and Mister A didn't want to come because "It's for girls". That didn't bother us in the slightest, and it meant that I could invite my friend Mel and her daughter for a lovely girls day out. 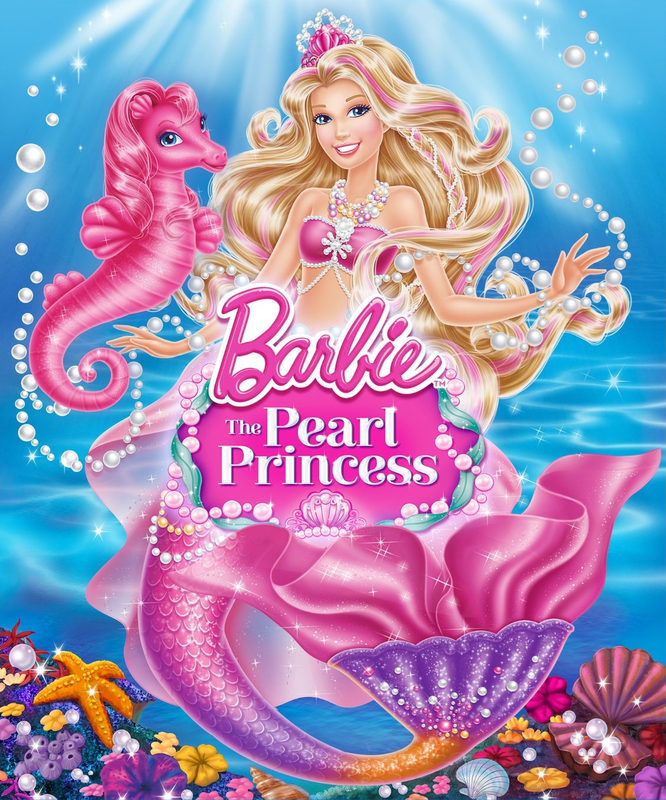 In this film Barbie plays a mermaid called Lumina that has a special magic 'pearl powers'. Her and her best friend Kuda, a pink seahorse, spend lots of time playing together, dreaming of being princesses. One day, against her Aunt's wishes, they head out of thier reef and embark on an adventure to a majestic mer-kingdom. Once at the Royal Ball Lumina uses her special powers to save the day and unlocks the key to her dreams! Little E and her friend absolutely loved the film. We hadn't even made it home before she was asking whether there was a DVD! The girls loved the film so it's a thumbs up from me - we'll definitely be looking out for the DVD version. The cinema itself was great too as they provide booster seats for the little ones so despite having people in front they could still see. 2for1 tickets to see Moshi Monsters: The Movie.